A tiny, peaceful village situated between Loch Garve and Strathgarve, Garve is an ideal spot from which to tour some of the most dramatic and beautiful countryside in Britain and has some of the most rustic landscapes Scotland has to offer. As well as an excellent base for exploring, the surrounding area has many fantastic attractions, so surround yourselves with nature and take in the very best of Highland life! Dornoch & Tain - Full Day - we'll travel first to Dingwall, land of sweeping skies, grassy knolls and the ruins of the medieval Dingwall Castle. After a look, we'll head to Tain, the oldest Royal Burgh in Scotland, awash with fascinating history. 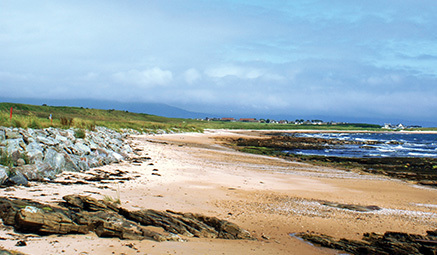 Continuing over the Dornoch Bridge, we'll spend some time looking around the cathedral town of Dornoch, beautifully placed by the sea. On then to Lairg, before returning to the hotel via Bonar Bridge and Struie Hill. 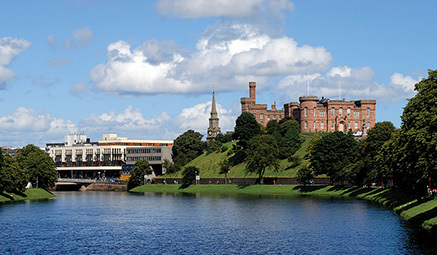 Inverness - Full Day - to the ‘Capital of the Highlands’, nestled on the banks of the River Ness. 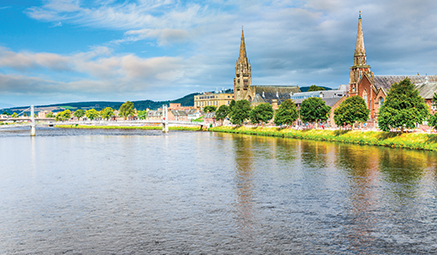 Admire its beautiful red sandstone castle, perching above the city, walk along the rushing River Ness or take a peek in the beautiful Cathedral. Discover the quaint buildings of the Old Town, the unique little shops or wander round one of the many art galleries.